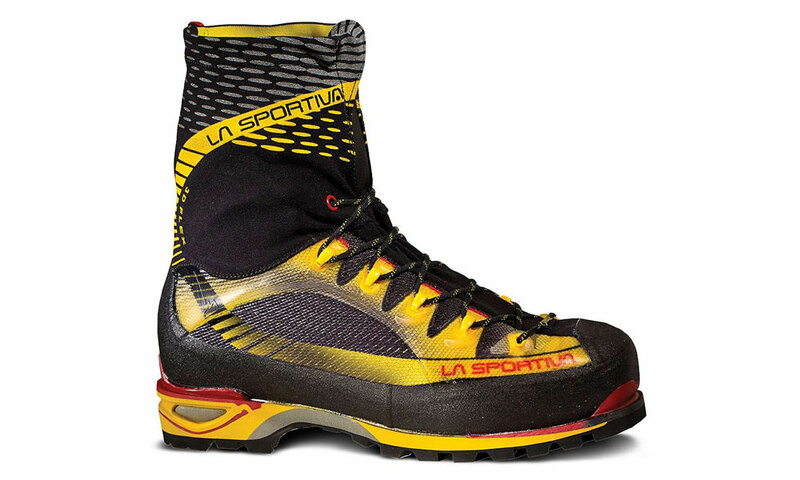 The La Sportiva Trango Ice Cube GTX is a lightweight alpine boot, perfect for mixed climbing or light and fast missions. 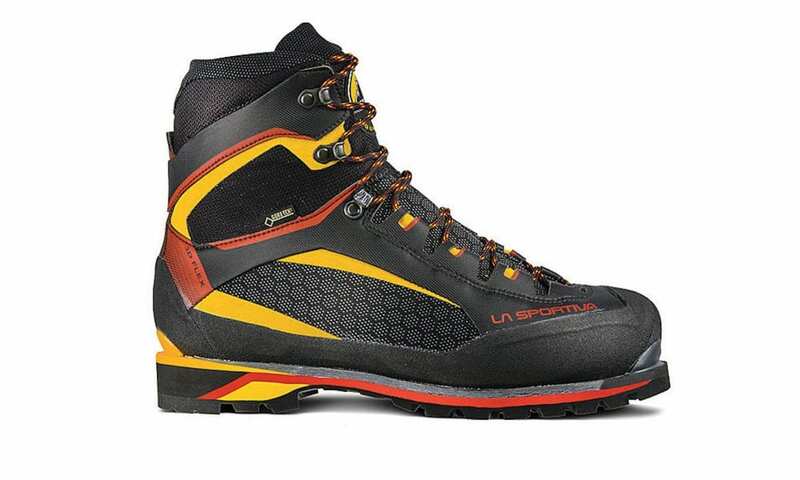 The Trango Tower Extreme GTX is the latest offering in La Sportiva’s popular Trango line of alpine boots. With a bit more insulation than the Trango Ice Cube boot, it’s slightly beefier and slightly warmer. At 26 ounces per boot, it’s also heavier than the Ice Cube by an ounce or two, but also kept my toes warmer on cold days. The Trango Tower Extreme GTX lacks the Trango Ice Cube’s built-in gaiter, but I didn’t miss it. 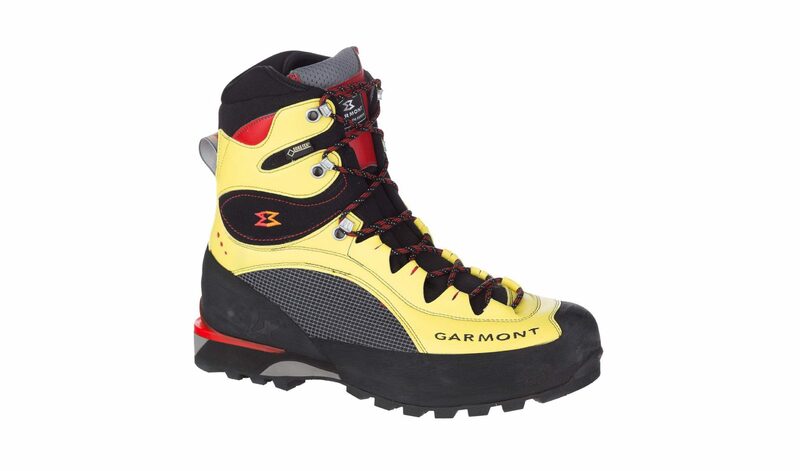 The boot top has a stretchy elastic around the perimeter which protects against snow entering; it works OK for moderate approaches and technical climbing, but if post holing through deep snow I would don a gaiter. The boot is similar in width to the Ice Cube, i.e. medium to narrow, but the interior is higher volume overall. I have a relatively low volume foot for a size 13 street shoe (I wore a Euro size 46 in these test versions), and I found my heels rising more than in the Ice Cube, even with an extra insole added. That said, people with higher volume feet will relish the extra room for a thick sock on cold days. The boot sole is stiff, welcome during long ice pitches; yet I also hiked miles in these boots right out of the box with no blisters or heel rubbing. The uppers are flexible for side stepping and hiking. You sacrifice some support for front-pointing, but overall the boot strikes a nice all-around balance. With its extra warmth and durable synthetic construction, the Trango Tower Extreme GTX is a strong contender for steep ice routes and multi-day mountaineering trips in warmer conditions.